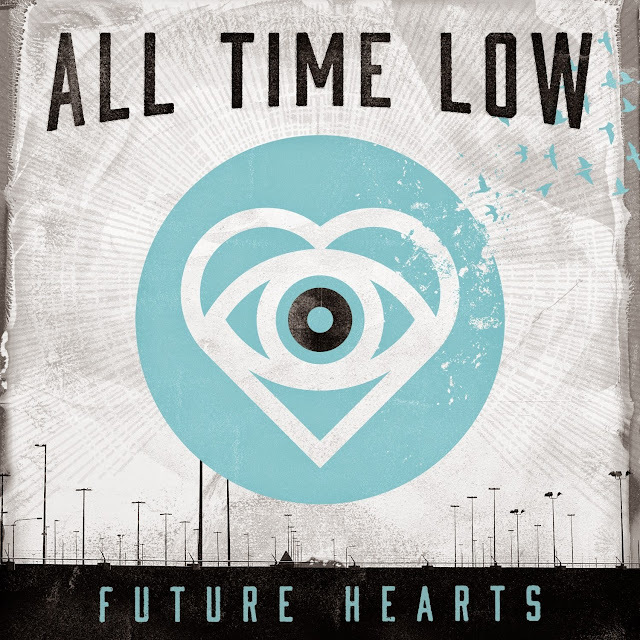 All Time Low are back again, with their sixth studio album, Future Hearts , being released earlier this week. If you’re looking for something new or experimental from the group, you won’t find it here. It’s the sort of record you expect from All Time Low, staying true to their pop-punk roots, but that isn’t always a bad thing. They proved themselves live after their recent UK co-arena tour, and their Wembley show, and now they’ve produced an album that fans will love, and that may well be their best yet, appeasing critics too. I enjoyed their last two efforts, but not as much as I did their earlier work - but Future Hearts may well be my new favourite, combining all their best qualities in one record. The record is full of messages that resonate with music, serious lyrics about love and life, growing up and staying strong. From the uplifting words of ‘Kids in the Dark’, to the cutting, ferocious ‘Dancing With a Wolf’, they cover a whole catalogue of stories and emotions, but in so many cases, they provide listeners with an outlet for their struggles, and with hope that things get better. These aren’t new lyrical territories for the band, but they are powerful and important ones. I also love the imagery in their lyrics, including ‘Cinderblock Garden’, ‘Satellite’, and ‘Tidal Waves’, which veer away from the generic bank of lyrics that many bands take from, and instead infuse a uniqueness to their songs. Alex Gaskarth’s vocals also have a slightly rougher quality this time round, sticking to the lower end of his range (rather than the higher pitches typical of pop punk), which is a refreshing sound, and feels both rawer and more mature. These serious lyrics are often contrasted with the high energy, incredibly catchy melodies and riffs (as well as the band’s hilarious and ridiculous antics live on stage). Tracks like ‘Kids in the Dark’ and ‘Cinderblock Garden’ (my personal favourite) are big pop-punk anthems, that are sure to be hits from the record, and incredibly fun when performed live. ‘The Edge of Tonight’ and ‘Tidal Waves’ are slower ballads, coursing with emotion, ‘Bail Me Out’ is one of the catchiest songs on the album, and ‘Missing You’ is possibly the band’s biggest departure from their usual fare, a touching, guitar-twanging, almost-country-pop tune. I’d also definitely recommend getting the deluxe version too, as the bonus tracks are just as good as those found on the standard version. The whole album feels confident, with plenty of songs to fill the venues the band are now selling out. Mixing the youthful exuberance and poignant lyrics they’ve always been great at, with solid, catchy melodies and a sense of polish. Although it doesn’t feel like a huge departure from their classic songs, the whole record is just better, in every sense. After six albums, it would be easy to tire of a band, or for them to fade off a little, but this is far from the case with All Time Low. They’ve proved that they’re stronger than they’ve ever been, and that there well-loved sound is just as fun, catchy, and resonant with people, as ever. I’ve had the album on repeat for days, and it’s not going away any time soon!